Proud of the office they have established in San Angelo, Dr Karina Harrison and Dr. Trevor Harrison believe patients are the heart of their practice. They go out of their way to provide comfortable waiting and treatment areas complete with the types of amenities you would expect from the premier dental practice in San Angelo. Their office is filled with state of the art diagnostic and dental treatment technology to ensure accuracy and early detection of oral complications. Dr. Harrison spent much of her time after dental school in San Angelo, Texas serving undeserved patients at a local community health center. She is genuinely committed to comprehensive dentistry and believes that everyone deserves a beautiful, healthy smile. 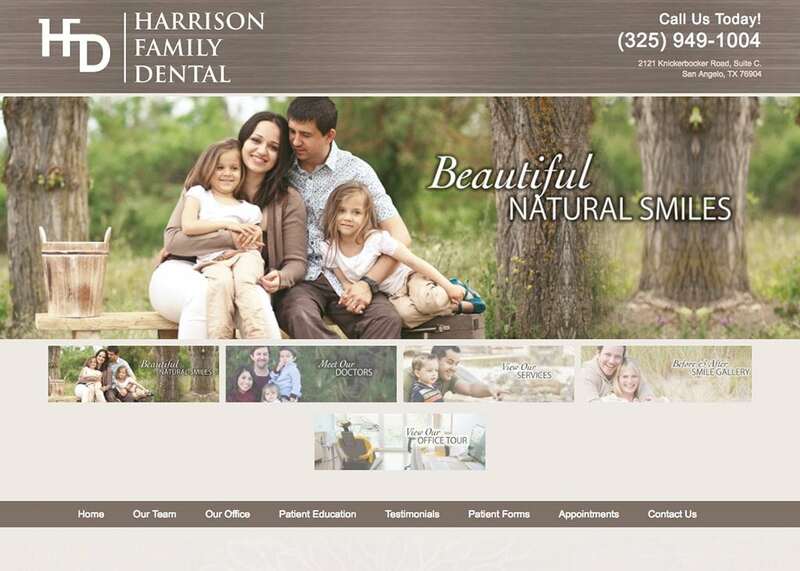 This vintage theme dental website was customized for Dr. Karina Harrison and Dr. Trevor Harrison by Optimized360. With amenities such as an eye-catching slideshow on the homepage to the user-friendly web design, it keeps the design simplistic but unforgettable.